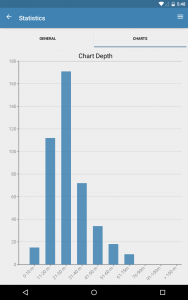 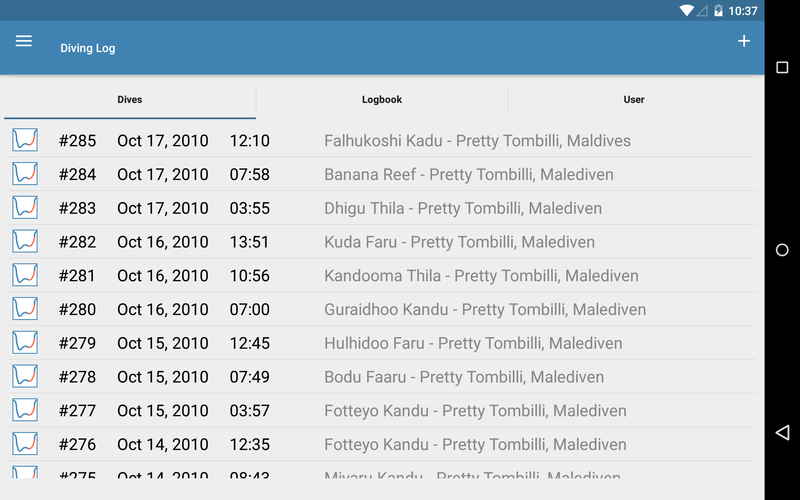 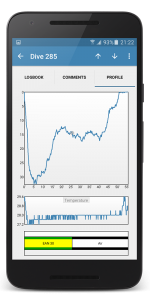 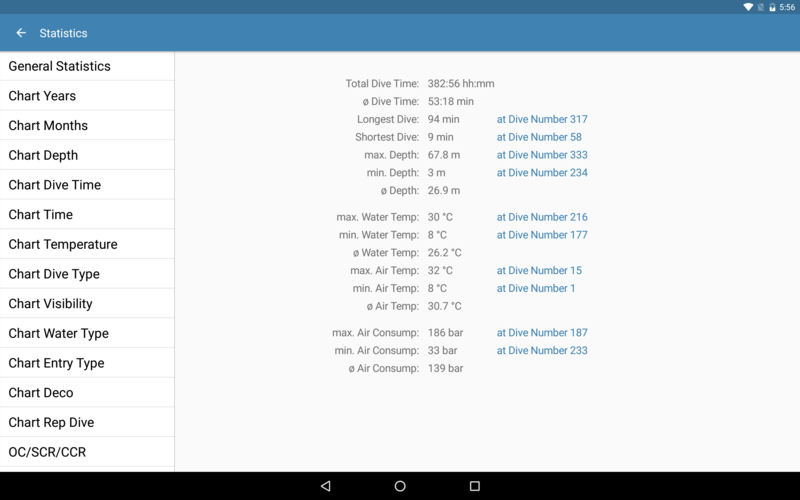 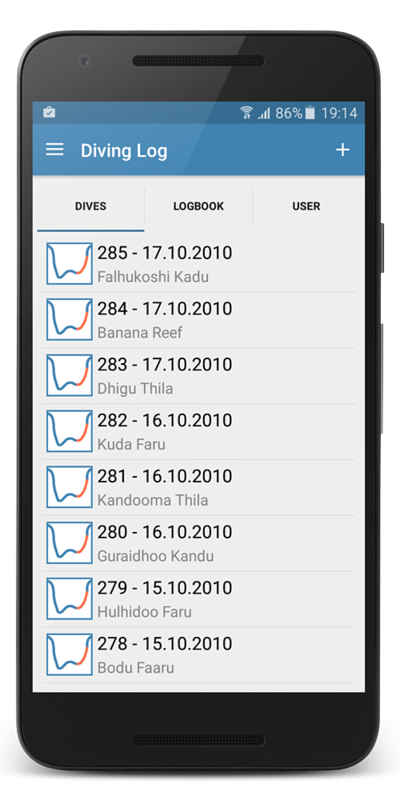 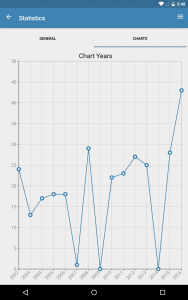 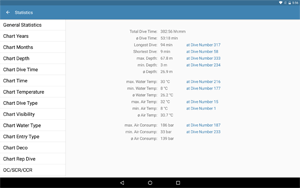 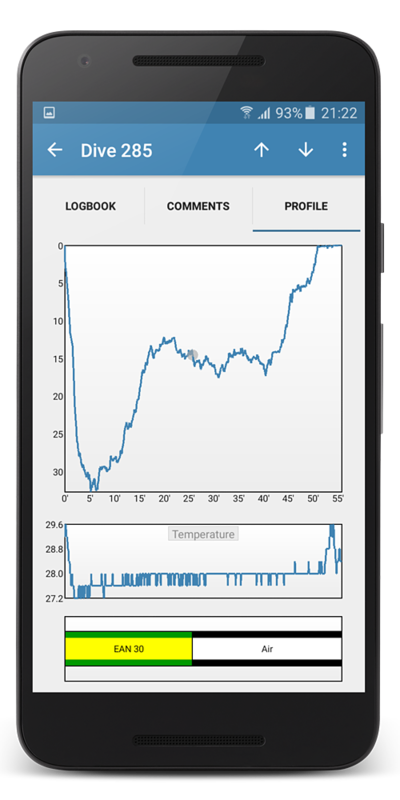 Today I’ve released an update of Diving Log for Android with a vastly improved statistics section. 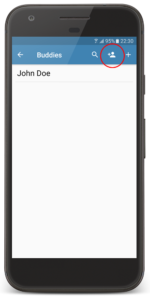 It was available for some time in the beta channel, but now it is released for everyone. 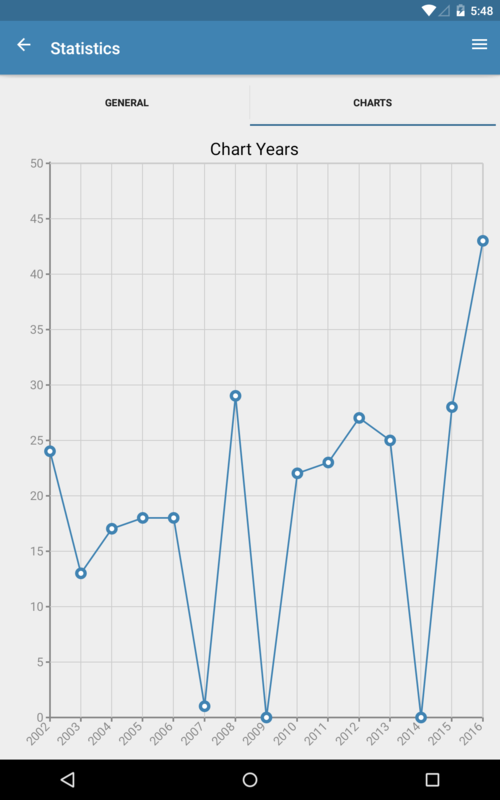 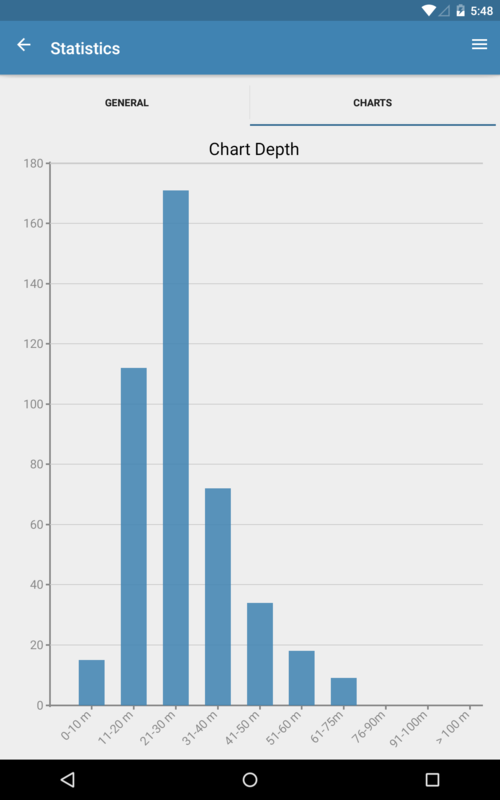 You can view now most of the charts which are available in the desktop version and the statistic section is now also optimized for 7 and 10 inch tablets. 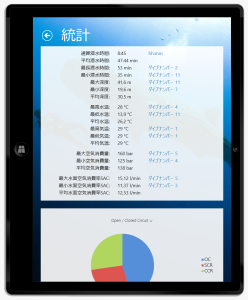 The app is now also localized to Italian and the text selection overlay toolbar works better. 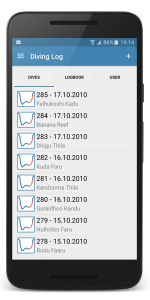 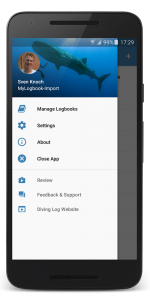 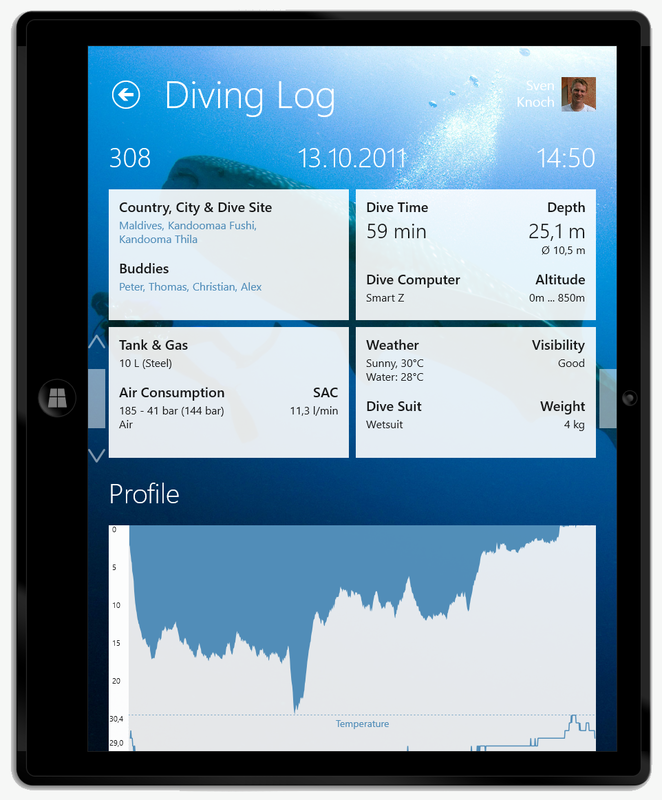 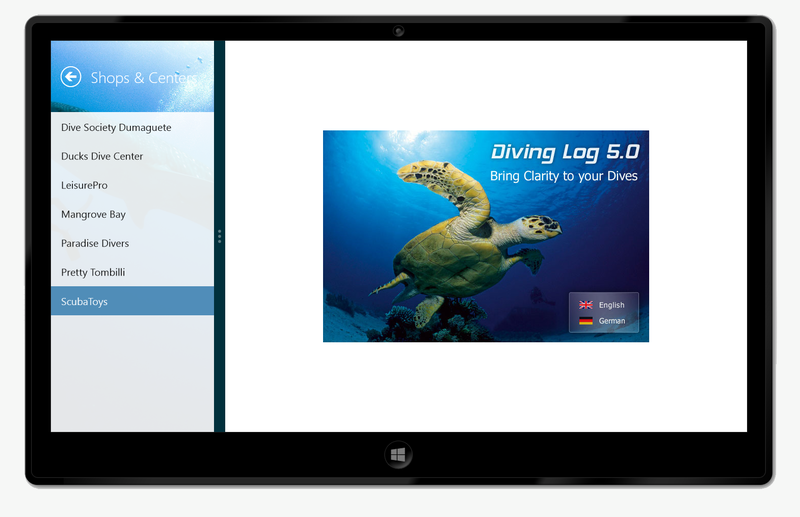 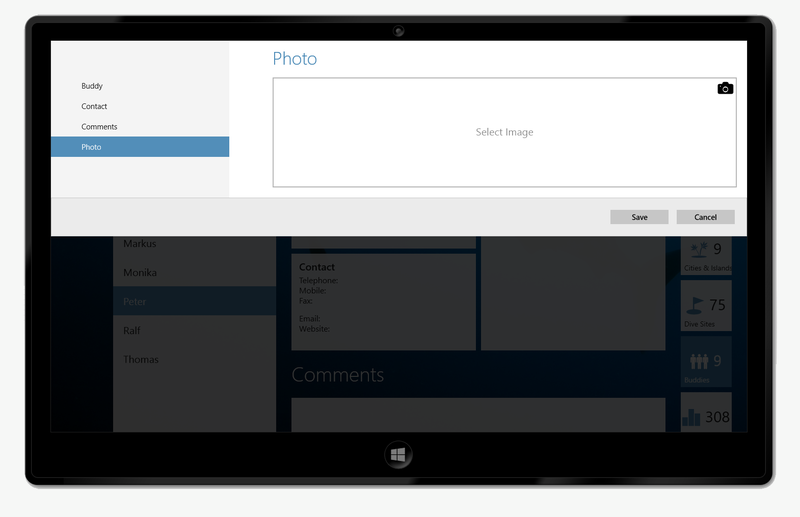 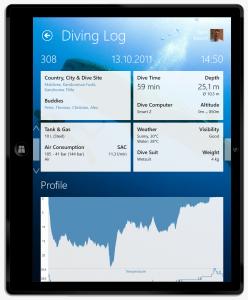 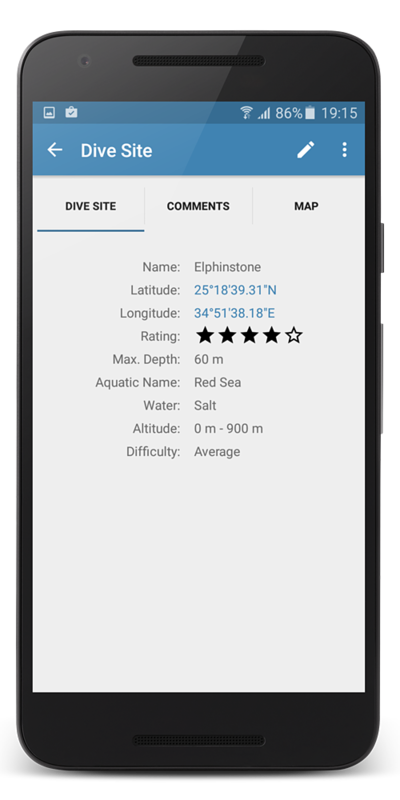 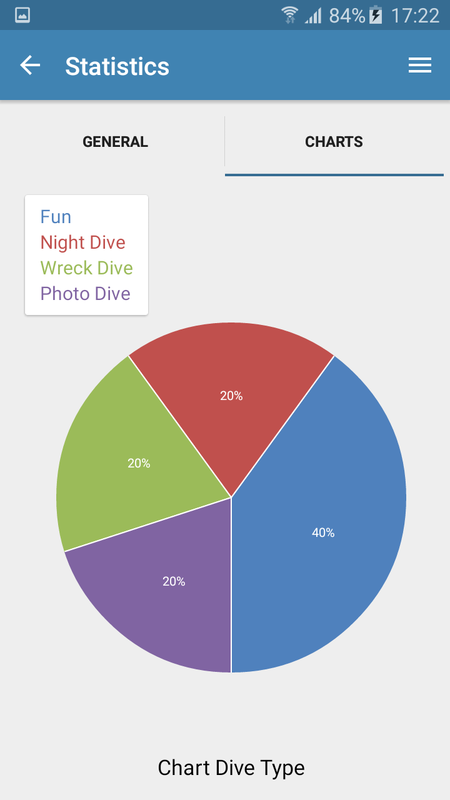 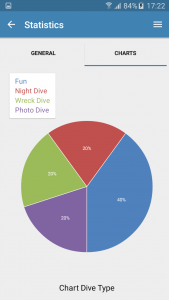 Photos taken from within Diving Log are now also added to the Android Gallery app. 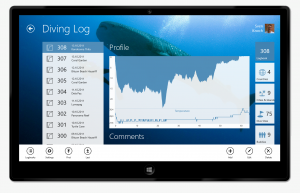 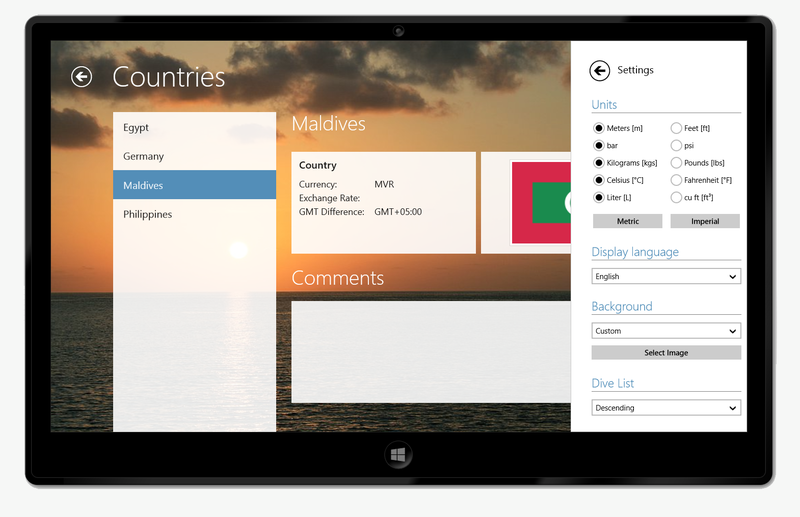 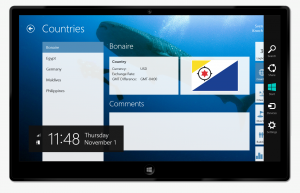 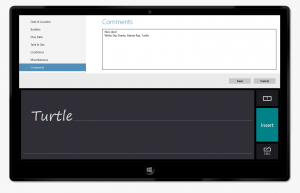 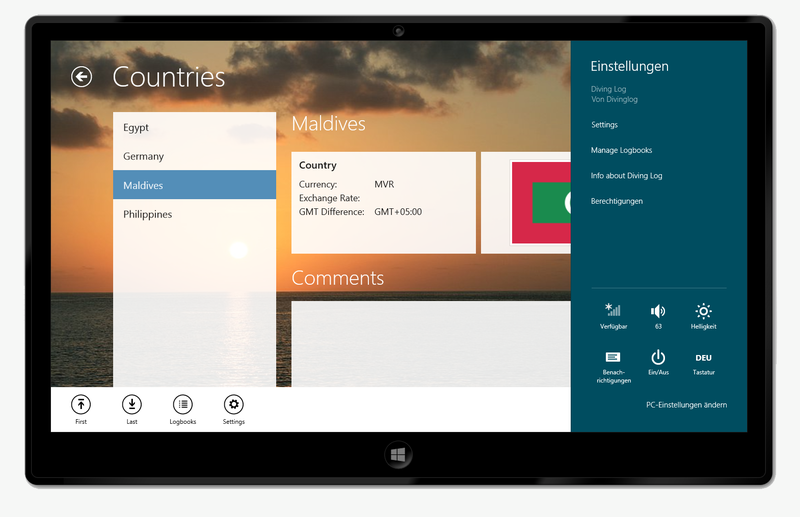 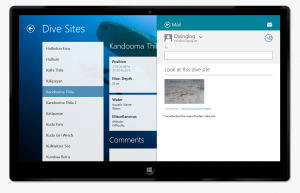 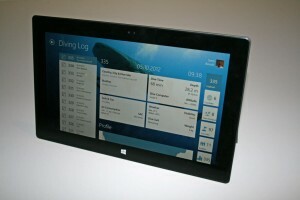 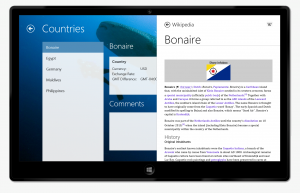 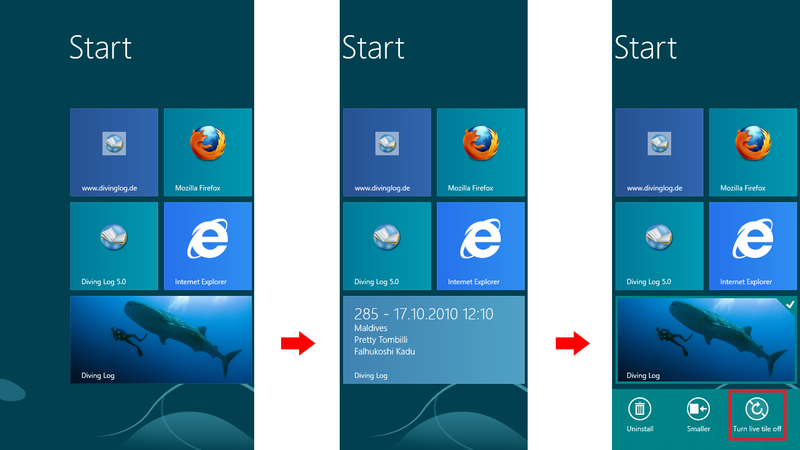 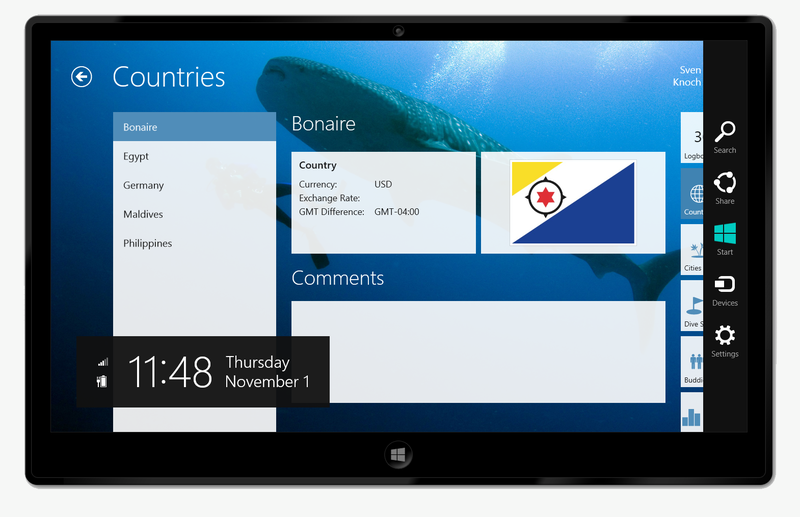 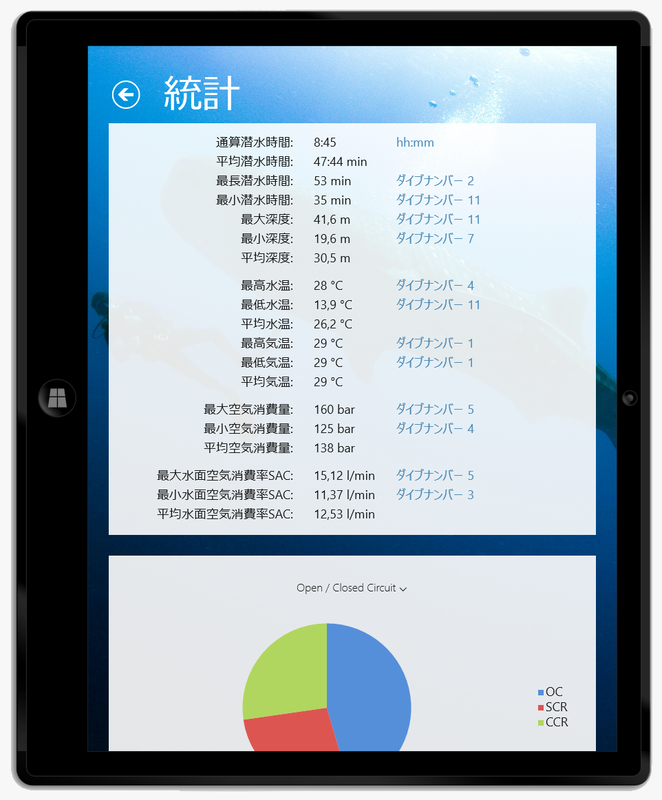 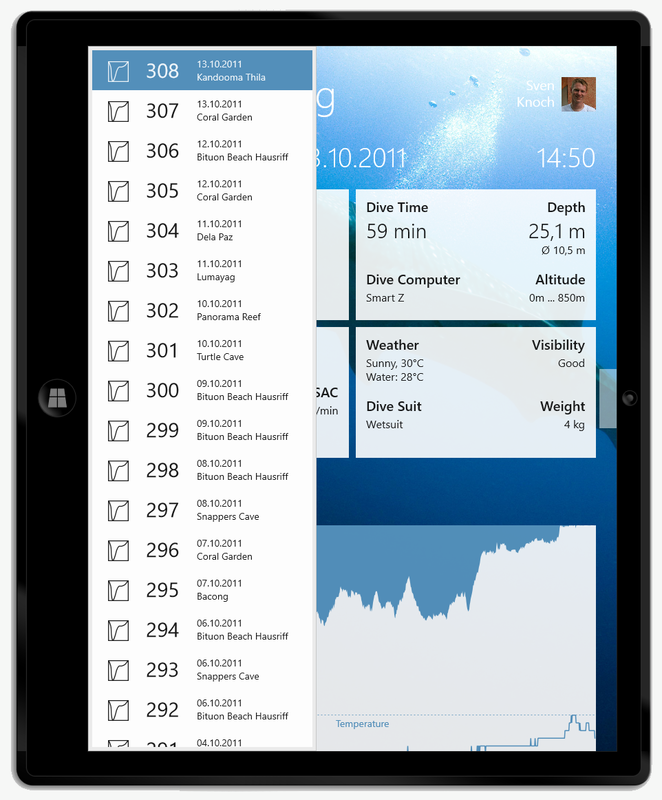 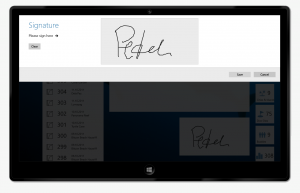 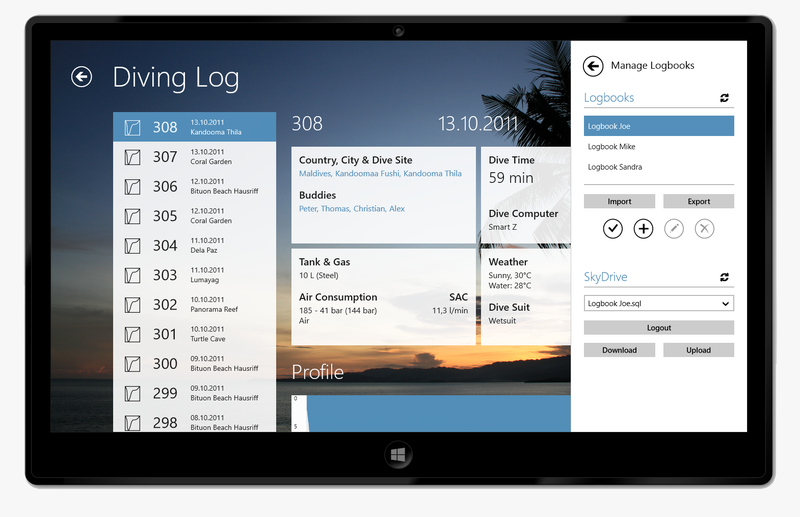 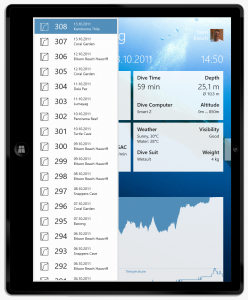 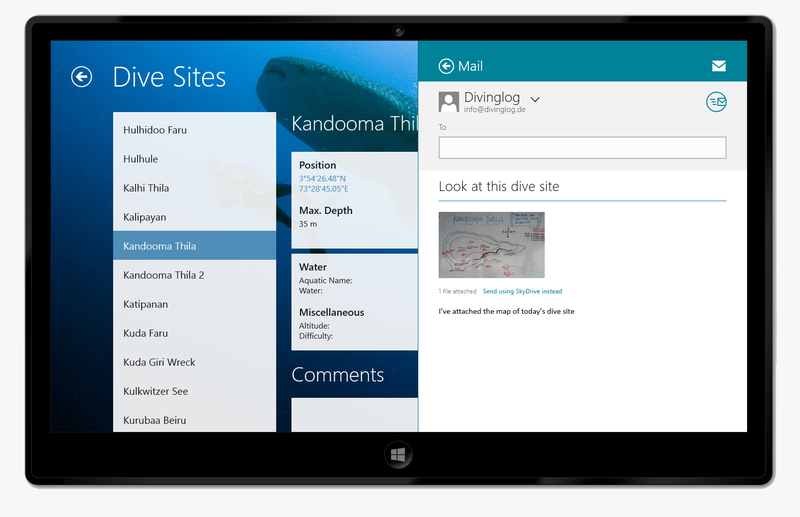 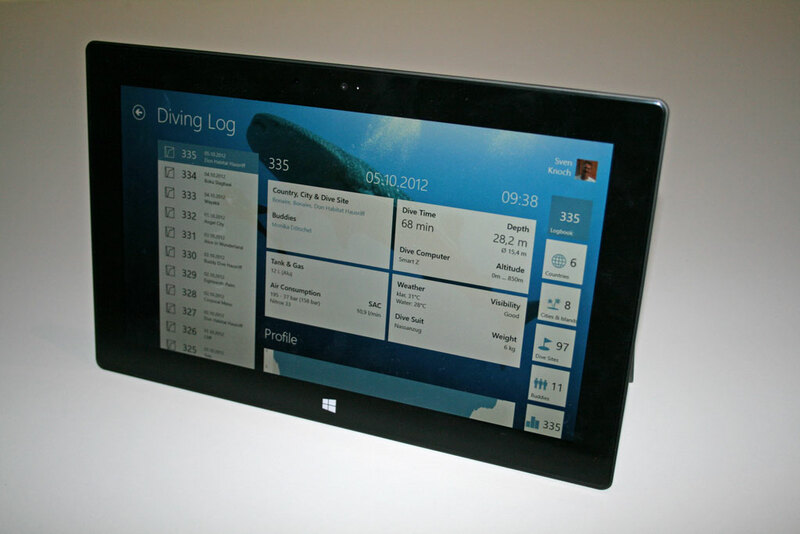 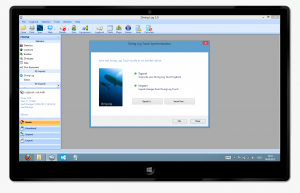 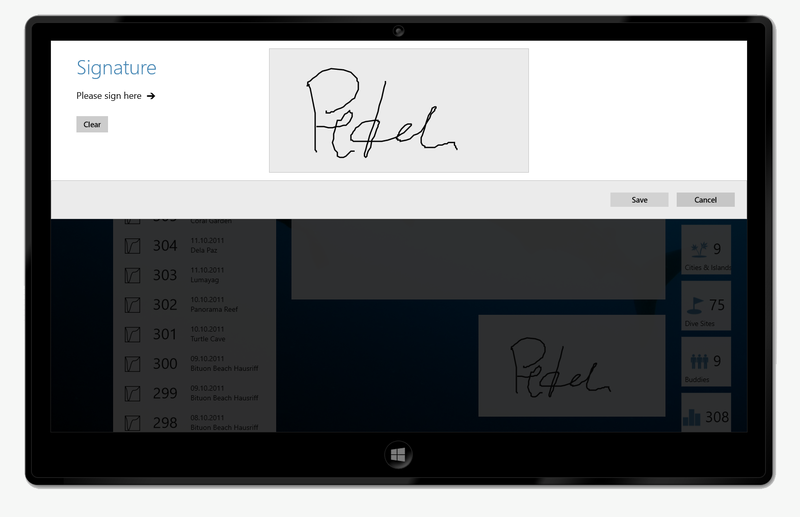 Japanese language support will also come soon to Diving Log 5.0 and Diving Log for Windows Phone. 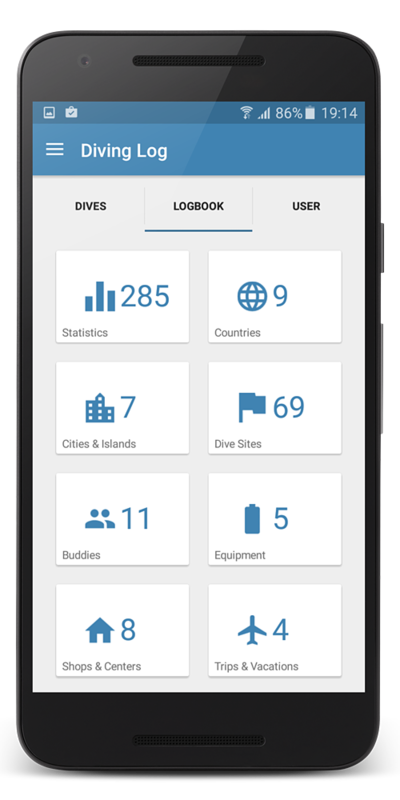 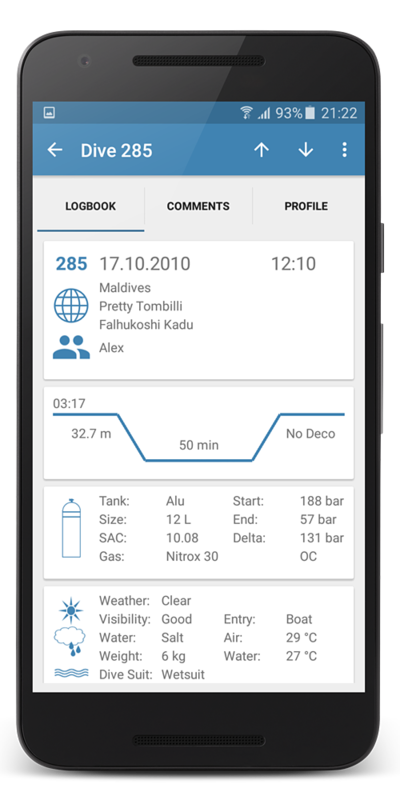 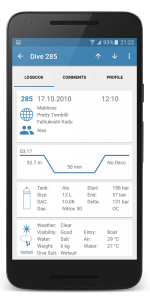 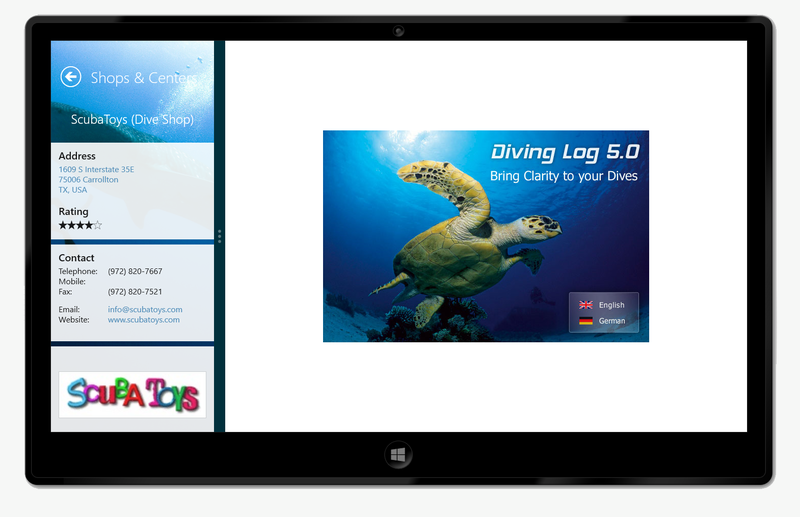 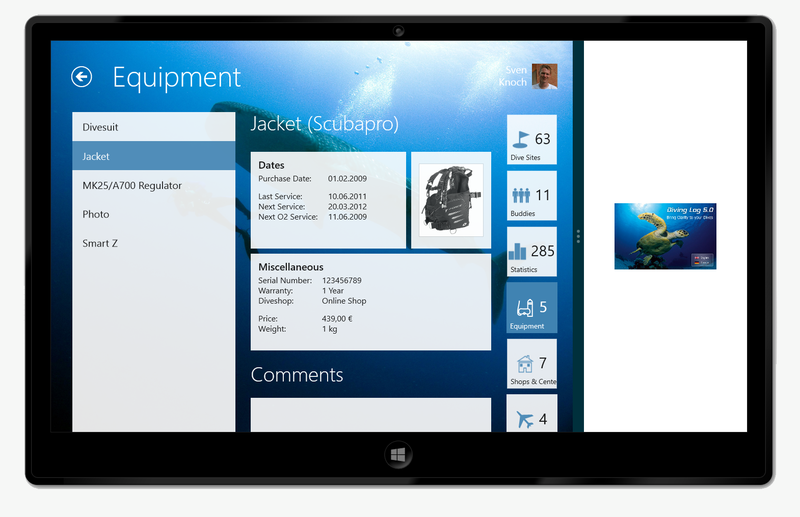 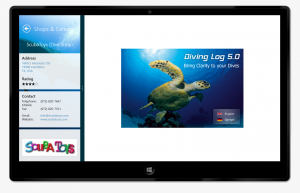 For some items like country, dive site and buddy, you can simply pick an existing item from other parts of your logbook, without the need to type anything. 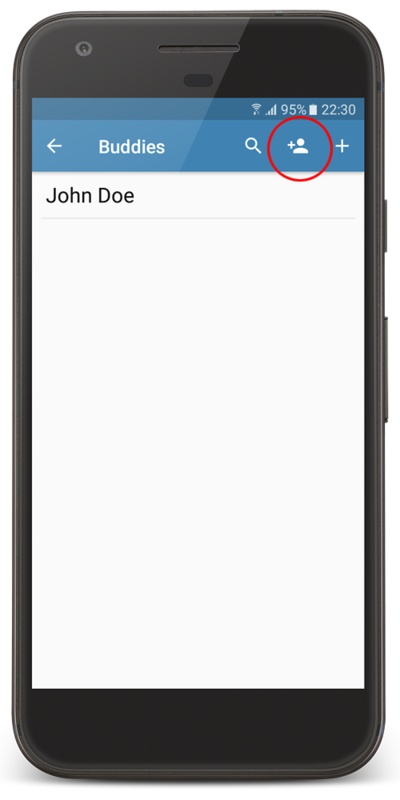 When you tap on a textbox without hardware keyboard attached, the on-screen keyboard will slide in from the bottom. 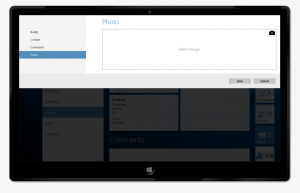 As you can see, the edit pane is designed in a way that no element is covered by the keyboard. 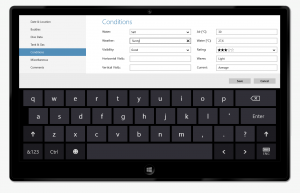 Depending on the textbox data type, either the normal keyboard is displayed or a special numeric keyboard. 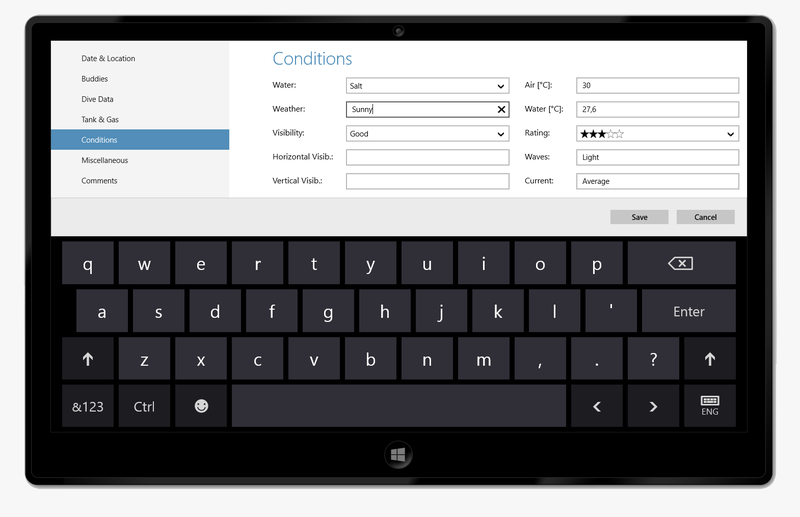 As you can see, data entry works great with or without hardware keyboard, with touch, pen or a mouse. 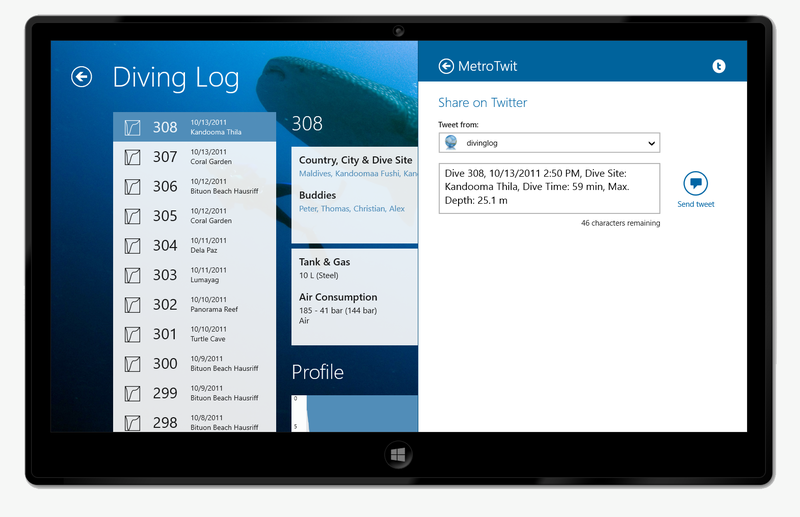 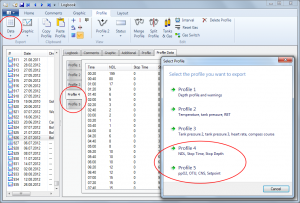 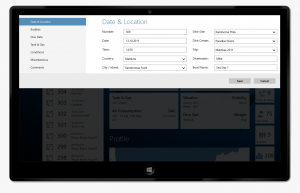 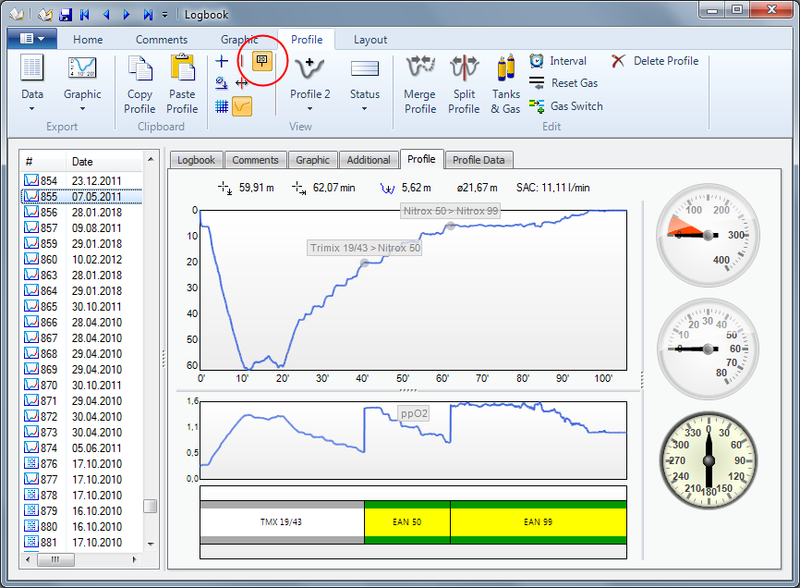 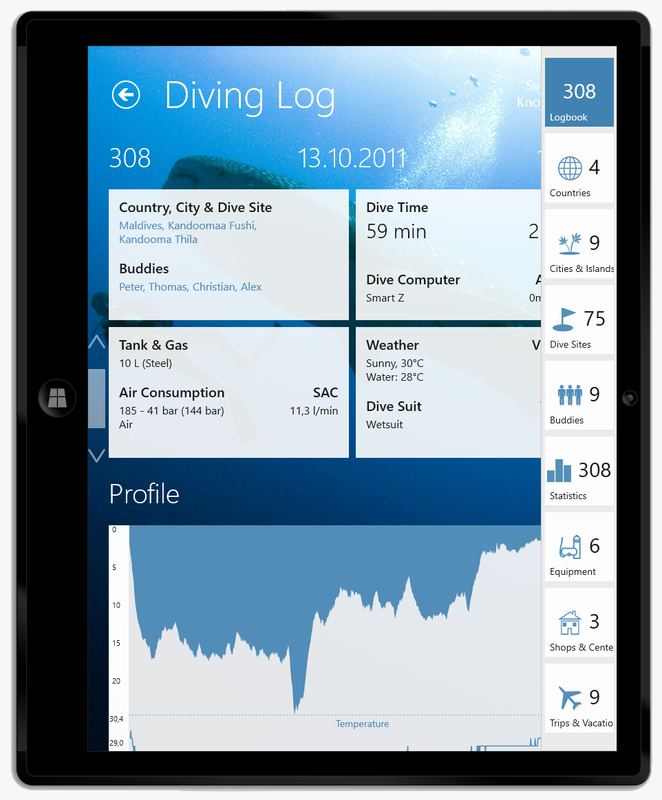 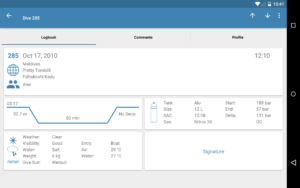 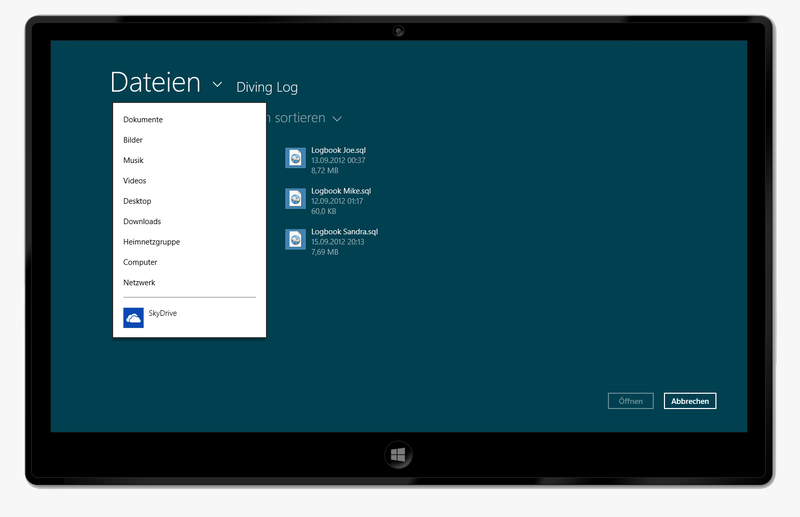 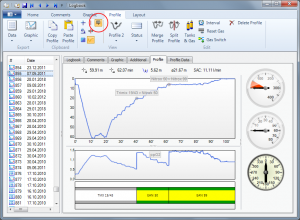 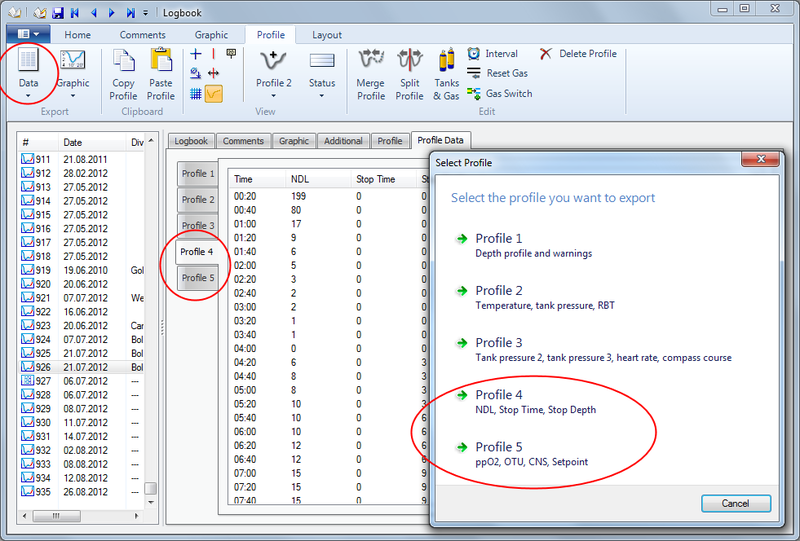 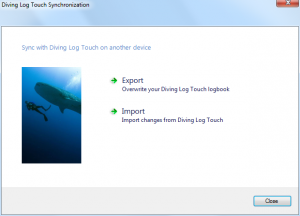 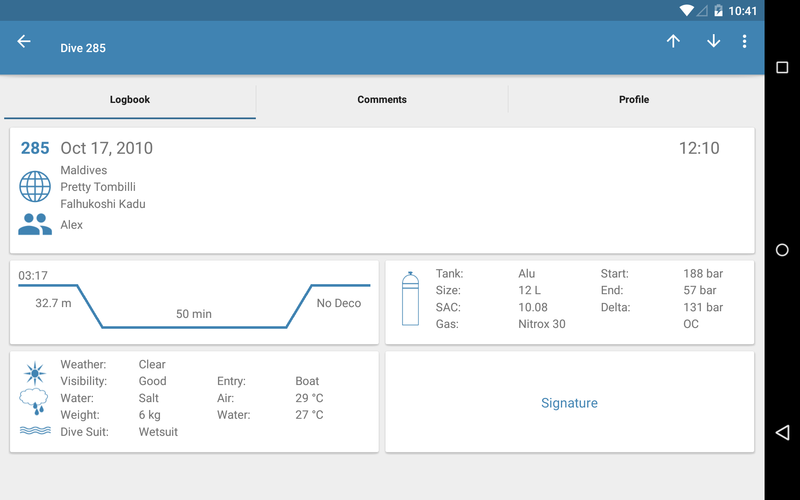 In one of the next blog posts I’ll show you how to merge the data with the dive computer data in Diving Log 5.0.